cellphone so one can see new OS stage updates every month. The Mark 1 will likely sport a display which is less than 5 inches, quite possibly a 4.6 inch display. The phone will reportedly run on a 1.9 GHz Octa Core MediaTek Helio X10 MT6795 processor alongside a 3 GB RAM and an internal storage of 32 GB. The Creo Mark 1 will likely sport a 21 megapixel primary camera with dual LED flash and autofocus, a secondary camera that will sport an 8 megapixel unit. 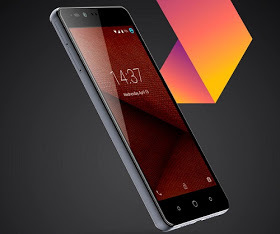 In all likelihood the company will run a customized version of the Android 5.1 Lollipop OS but the level of customization is what will set this phone apart, claims the company. The phone itself certainly looks beautiful with curved edges, and circular buttons below the screen.